In case you haven't heard the exciting news, Act! 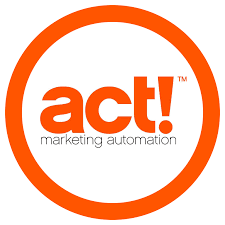 has introduced a new and improved marketing tool called Act! 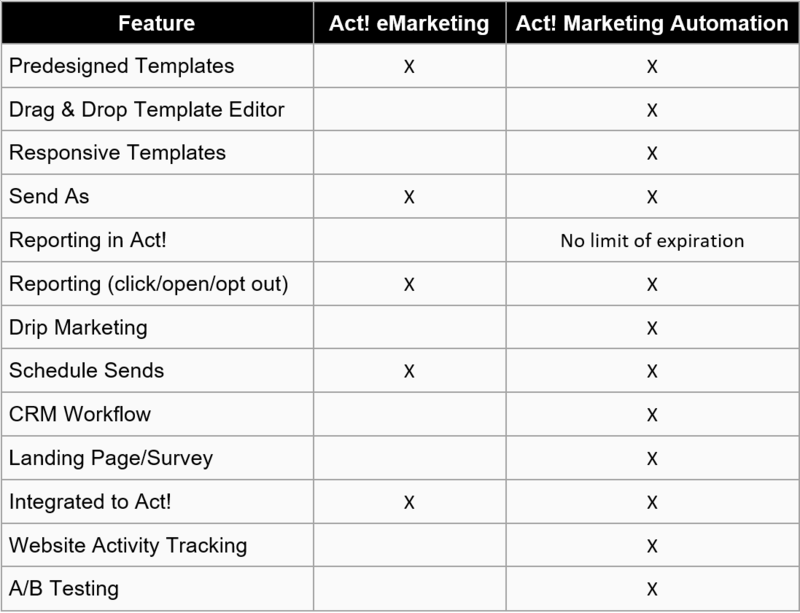 Marketing Automation (AMA). For current customers that have an active eMarketing account, you will need to plan a switch in the coming months. Below is the timeline set by Swiftpage for the sunset of Act! eMarketing (AEM). As you can see by the chart, Act! 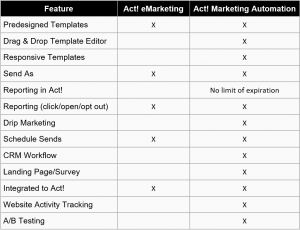 Marketing Automation is a significantly more versatile and powerful platform than Act! eMarketing. The new Visual Campaign Workflow Designer (shown below) provides a simple graphical interface to configure custom nurture streams for each campaign. Three purchasing options are available starting as low as $79 per month! If you have an active eMarketing account now, call or email us today to discuss options for your upgrade and migration path. 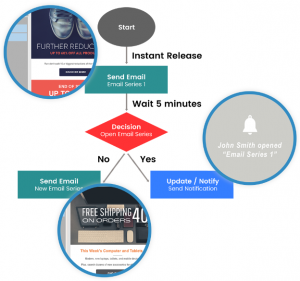 If you haven't yet tested the waters for eMarketing, call or email us to schedule a personalized demonstration! For this or any other CRM investment, contact info@toplineresults.com or 800-880-1960 for answers and guidance. We will help you navigate the options that best fit your organization.